Anime Boston continues to grow: Toru Furuya is coming to the convention. 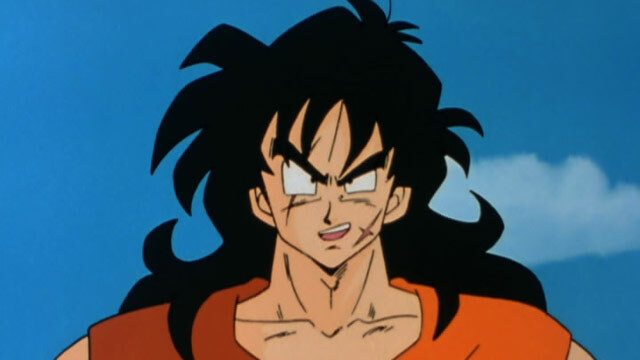 A veteran voice actor, Furuya is best known for such roles as Yamcha in the Dragon Ball franchise and Tuxedo Mask in Sailor Moon. He is joining other Japanese guests Puffy AmiYumi, the OKAMOTOS, and Naokatsu Tsuda. As far as North American guests, Anime Boston recently added ADR director Kyle Colby Jones, upcoming voice actor Bryson Baugus, and veteran voice actors Greg Ayres and Lisa Ortiz. Previously confirmed North American guests include Lex Lang, Sandy Fox, Michelle Ruff, Johnny Yong Bosch, and Brina Palencia. Toru Furuya will be at Anime Boston at the Hynes Convention Center, Boston, Mass, on March 31st through April 2nd. For more information about his addition to the con’s line-up, a press released was provided. Boston – Anime Boston, the largest anime convention in New England, announced its fourth Japanese guest of honor today. Voice actor Toru Furuya will appear at Anime Boston at the Hynes Convention Center, Boston, Mass, on March 31 through April 2, 2017. Celebrating his 50th anniversary in the anime industry this year, Furuya has voiced roles in a host of other generation-defining series including: Pegasus Seiya in Saint Seiya, Hyuuma Hoshi in Star of Giants, Kyousuke Kasuga in Kimugure Orange Road, Dr. Tokita Kosaku in Paprika, Sabo in One Piece, and Rei Furuya in Detective Conan. His vocal talents can also be heard in titles such as Kaizoku Sentai Gokaiger, Space Battleship Yamato Resurrection, Lupin III: Dead or Alive, and Bleach, among many others. “Furuya-san is a true titan in anime. He has shaped the direction of the entire industry with roles such as Amuro Ray, Yamcha, and Tuxedo Mask. We are so very pleased and honored to welcome him to Anime Boston!” said Victor Lee, Convention Chairman. Previously announced guests include Puffy AmiYumi, Lex Lang, Sandy Fox, OKAMOTO’S, Michelle Ruff, Johnny Yong Bosch, Naokatsu Tsuda, and Brina Palencia. About Anime Boston: With nearly 27,000 attendees in 2016, Anime Boston is an annual three-day Japanese animation convention held in Boston, Mass. Anime Boston 2017 is scheduled for Friday, March 31 through Sunday, April 2 at the Hynes Convention Center and Sheraton Boston Hotel. More information about Anime Boston can be found at http://www.animeboston.com.